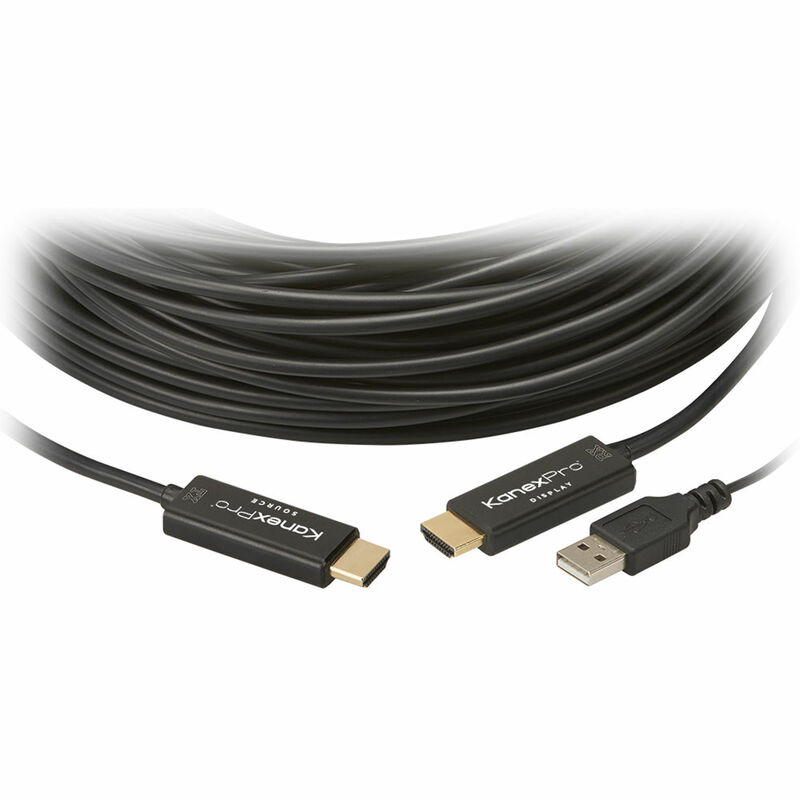 Enjoy long cable runs with 4K support with the 164.04' KanexPro High-Speed Fiber Optic Active HDMI Cable. It features a hybrid optical cable and copper wire design to eliminate RF and EM interference and supports 1080p 3D, 4K with Deep Color, HDR, and multi-dimensional audio. This cable is directional and receives power from the connected USB cable on the display device end. Box Dimensions (LxWxH) 10.4 x 10.0 x 2.6"